If you’ve lived in the city for even a year, you’re likely familiar with NYC’s Distribution of Delicious Food: an excellent version of your favorite dish can be found Downtown, but for the best, you must travel deep into the borough furthest away from you. 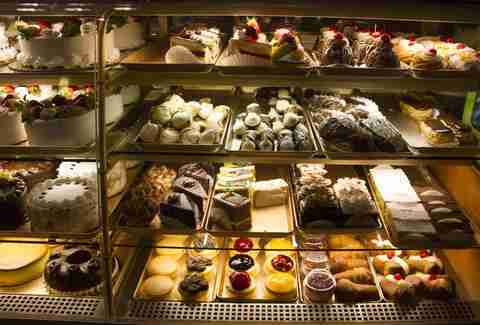 Case in point: Italian pastries. 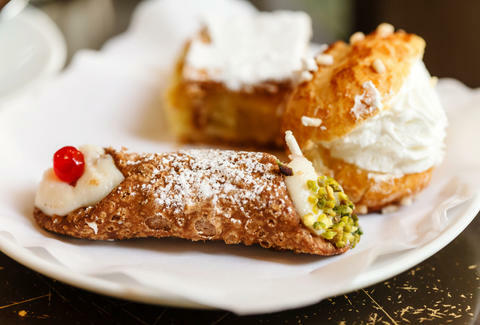 A decent cannoli can be found at a street cart off Mulberry, but to get the freshest ricotta pies and tiramisu, you need to venture to Arthur Avenue, NYC’s superior mom-and-pop-shop-lined Little Italy. Concentrated across a four-block radius, these are the best Arthur Ave-area pastry shops worth traveling crosstown, north of 72nd, and across the Harlem River for. No, it’s not a candy shop, though the jars of Jordan almonds lining the shelves and frilly pastel garlands might suggest otherwise. Morrone is something even more delightful -- a purveyor of real Italian pastries with noticeable out-of-the-oven freshness. 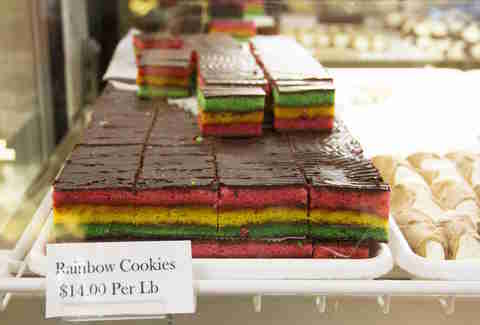 True to its charming mien, this pasticceria’s most restocked item (next to the cannoli) is the rainbow cookie, a layered cake packed between thin chocolate walls. It’s a dense, greasy wonder that’ll leave your fingers slicked (and one bite will justify its miniature square size). Take your date here after an early dinner at any one of Arthur Ave’s equally great Italian restaurants. If a bottle of vino didn’t adequately set the mood, a cookie, stack of cannoli, and jam-filled bombolone will guarantee reciprocated affections. 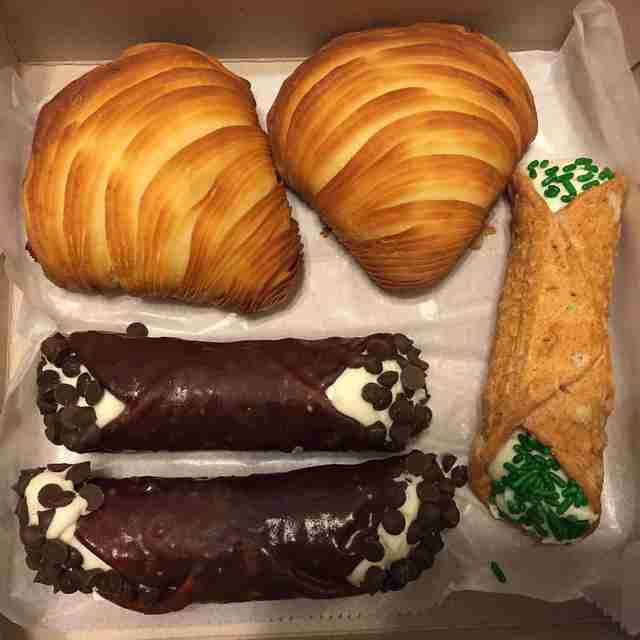 Like most of the dessert spots on or around Arthur Ave, 56-year-old Gino’s claims its cannoli is the best. And it is -- but only if you get the French variety. Consisting of a flakier, torpedo-shaped pastry, these delicate cream carriers are like the thin-crust pies to the original cannoli’s deep-dish Chicago pizza. Oh, and speaking of the filling: get the fluffier, mildly sweetened Bavarian cream (as opposed to the yellow custard option) -- the airy consistency balances perfectly with the melt-in-your-mouth breading. The space is narrow and the lighting dim, but a down-home take on Italian pastry classics keeps Egidio’s counters excessively staffed. 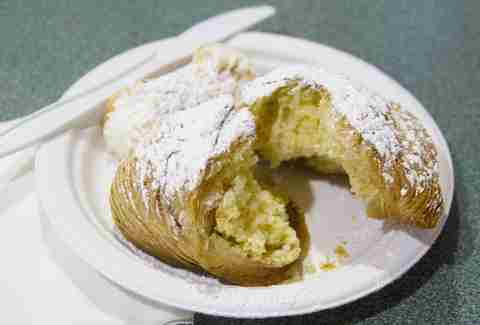 The move here is the sfogliatella -- the most humble of baked treats, and an exercise in textures done right. Ridged and shell-shaped, this lobster tail consists of a super crunchy, layered “shell,” and a soft, moist, and eggy cake bedazzled with tiny orange pieces. The result is a fragrant, lightly candied carb bomb perfect for the world’s most filling breakfast, or the world’s most filling snack. Your call. Maroon 5 tunes and a space decorated with a suburban mother/teacher’s eye for mosaicked chandeliers greet visitors at this clean-cut spot. It’s got none of the rush or worn untidiness of the other places, and organized touches like a backlit, electronic coffee menu indicate a level of established standardization -- still, DeLillo's knows what its doing on the pastry front. Lobster tails and rainbow cookies reign supreme here, though the chocolate eclairs are the secret go-to item. The lush cream that squeezes out of every bite is refreshingly sweet, and goes well with a lick of that chocolate glaze that'll surely be coating your lips. Having survived the most Italian of business challenges (an in-family feud involving the branding of the Artuso name by different members of The Family) and a building-totaling fire in 2014, Artuso isn’t the kind of joint that goes easy on the cream. 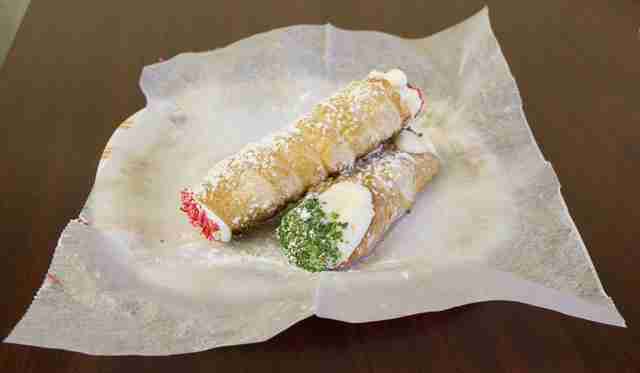 In fact, this Bronx institution is known for its addictive cannoli, of which it sells 8 million a year. All the standards are represented here as well, and you can’t mess with the biscotti, chocolate-dipped almond horns, and pignoli cookies. It might close on the early side on Sundays, but you’ll want to hit this Sicilian shop during the wee meal-planning hours anyway. 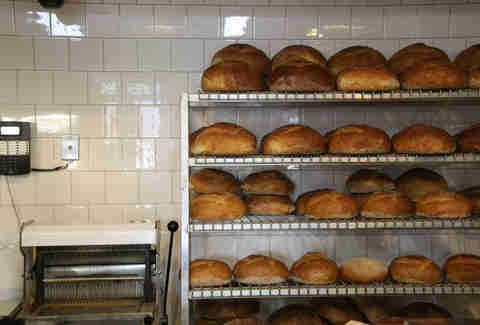 The lard and olive loaves are a local favorite -- you’ll buy a loaf to use as post-meal sauce-mopping bread, but you’ll end up dipping it in salted olive oil and finishing the whole thing before the pasta water’s even started boiling. The rest of the store is lined with shelves of of pine nut-studded cookies, flaky pastries, and freshly piped cannoli that are definitely not meant to be shared. Seriously. Try breaking one in half and watch as the fried infrastructure shatters into multiple crunchy, geometric pieces. Actually, did I just invent a new way of eating cannoli? Michelle No is a production assistant at Thrillist, and prefers gelato to cannoli. Follow her on Twitter at @Michelle_No and Instagram at @MichelleNope.